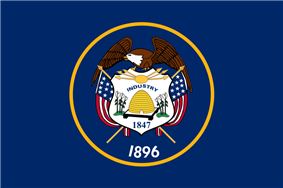 The Ogden-Clearfield, UT Metropolitan Statistical Area, as defined by the United States Office of Management and Budget, is an area consisting of four counties in north central Utah, anchored by the cities of Ogden and Clearfield. As of the 2010 census, the MSA had a population of 547,184. On February 28, 2013 the White House released a Bulletin Revising delineations of CSA's and MSA's, which led to the addition of Box Elder County to the Ogden-Clearfield Metropolitan Statistical Area, bringing the MSA population (using 2010 census numbers) to 597,159. As of the census of 2000, there were 442,646 people, 138,945 households, and 110,557 families residing within the MSA. The racial makeup of the MSA was 90.32% White, 1.21% African American, 0.66% Native American, 1.40% Asian, 0.22% Pacific Islander, 4.17% from other races, and 2.02% from two or more races. Hispanic or Latino of any race were 8.57% of the population.